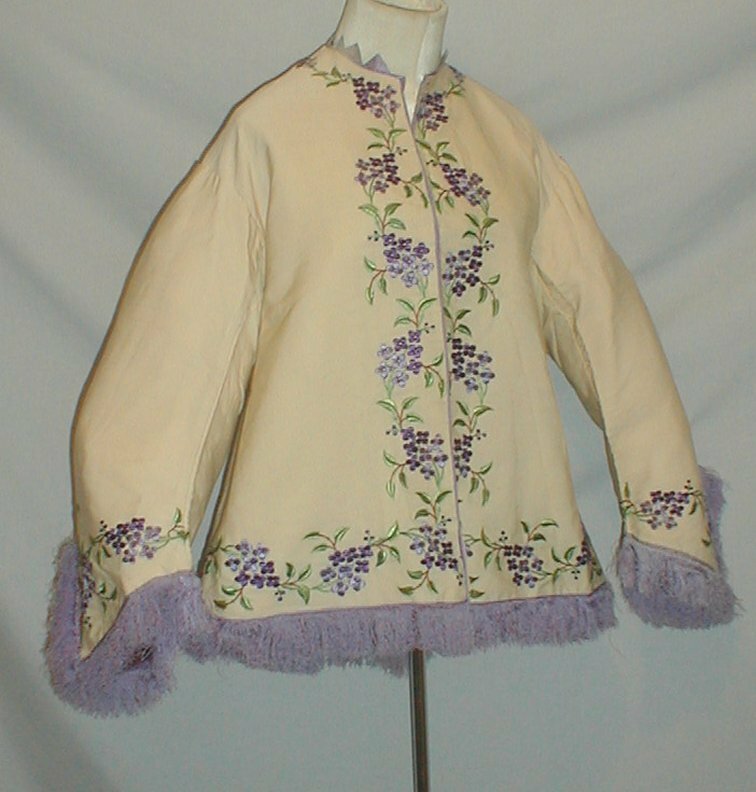 A magnificent 1860’s Civil War era ivory cashmere wool jacket. 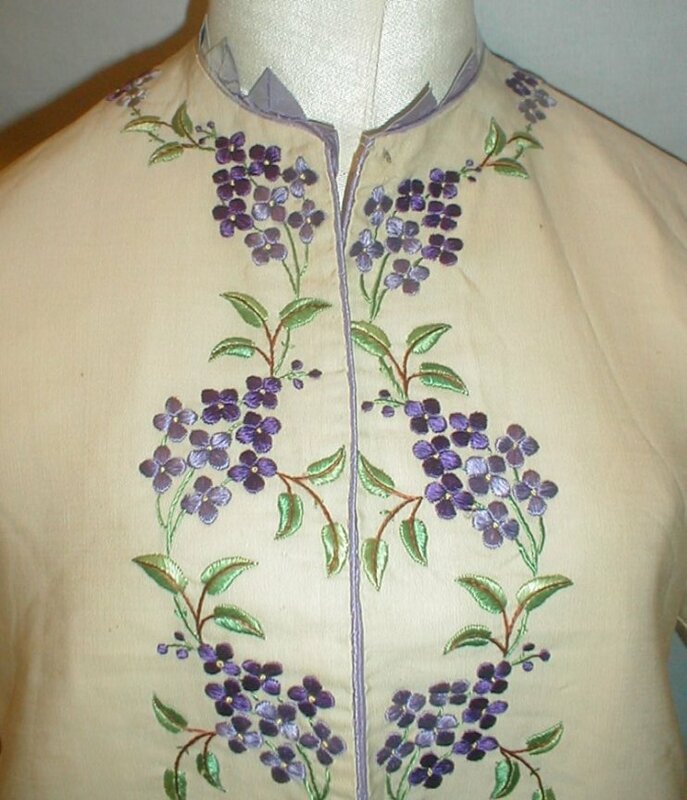 The jacket is extensively embroidered with two shades of purple flowers surround by green leaves. The neckline is trimmed with light lavender Van Dyke silk points. 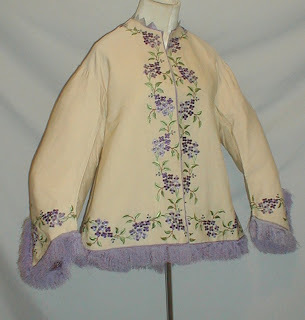 The wide bell shaped sleeves and hemline are decorated with lilac silk fringe. 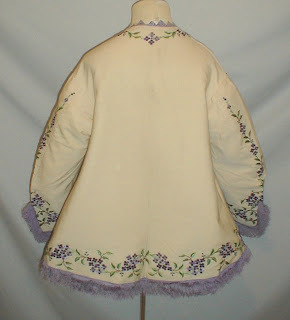 The jacket has a flared hemline. 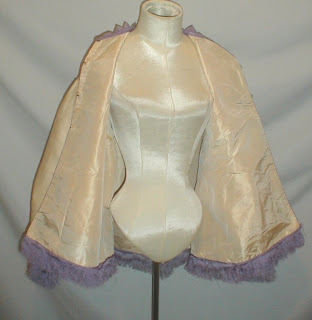 The jacket is lined in ivory silk and has a front hook and eye closure. The jacket is in very good condition. 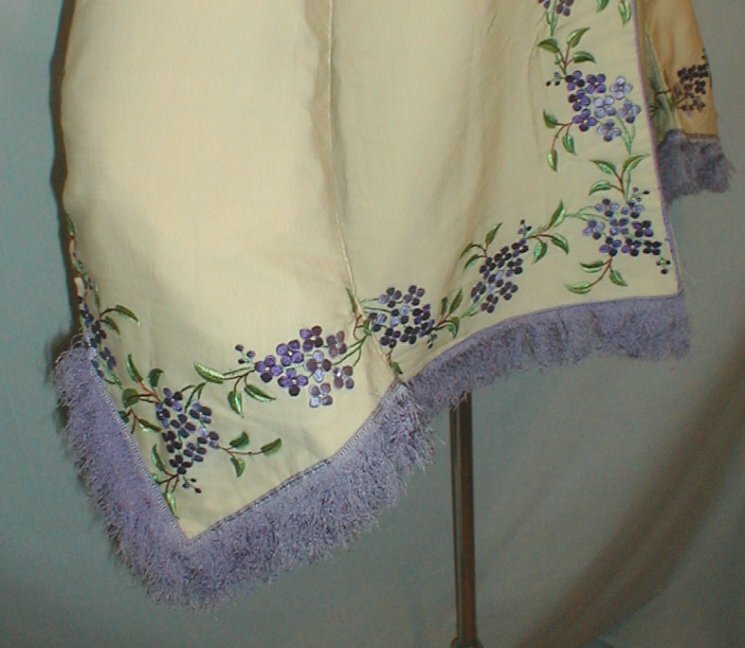 There is some underarm discoloration on the inside lining that is barely visible on the cashmere fabric. There are a few tiny surface only moth nips. A wonderful addition to a Civil War collection. Loose fitting bust 38 Waist 46 Length not including fringe 23. 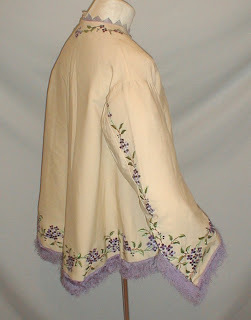 I'm thinking about 1865 for this, give or take a year. I LOVE the embroidery!